Pattaya is a colourful and vibrant city but it nice to escape to the tropical islands and see some of the natural side of Beautiful Thailand. Snorkelling Pattaya gives you the opportunity to get out on a boat for the day, observe uninhabited islands and the surrounding underwater reefs and life. Pattaya is an ideal location for snorkelling as it has a vast amount of islands with fringing coral reefs. The reefs provide calm waters and a habitat where fish thrive. Visibility in the shallow waters is generally clearer with warm waters in excess of 30 degrees C. Below is the coral reef with an abundance of small colourful reef fish, anemones, sea horse and turtles. It is an adventure for beginners, immediate & advance snorkellers alike that anyone can enjoy. No trip to Thailand would be complete without visiting the beautiful islands of The Siam Gulf! There are more than 15 islands close to Pattaya and its shore line. 95% of which are desert islands and uninhabited. We go to different islands everyday and even plan special island hopping trips to some of the most remote islands in the area for you to enjoy! What the fish!? There are literally hundreds of species of tropical fish to be found in Thailand and most of them you can see everyday whilst snorkeling in Pattaya. Moon Wrasse, Damsels, Sgt Majors, Banner Fish, Clown Fish, Bat Fish, Puffer Fish, Yellow Box fish.. Do you know your fish? learn from our guide and tell your friends what you saw ! Everybody loves a good boat ride. You’ll find our vessles very comfortable and enjoyable. We hold our boat standards to the highest so all our boats are kept in top notch condition and on a nice calm sunny day there is nothing better than skimming across the waves, feeling the sea breeze on your face as you sail by tropical islands.. Sound dreamy? It is! There certainly is no shortage of day trips and tours running out of Thailand captital but did you ever just want to get away from the city crowds and escape to paradise? When looking for thing to do close to Bangkok, Perhaps you may wonder where the best snorkeling nearest to Bangkok is? Although you have many things to do in Bangkok, Snorkeling is not one of them. Did you know that snorkeling in Pattaya is nearest to Bangkok and less than 2 hours away by car or bus from the big pineapple (Bangkok)! You have many beautiful islands all within a short boat ride from Pattaya. Pattaya, like Bangkok, is a international city, buzzing with life and activity but unlike Bangkok, it has a number of beaches, view points and offers the best snorkeling in the upper Siam Gulf. 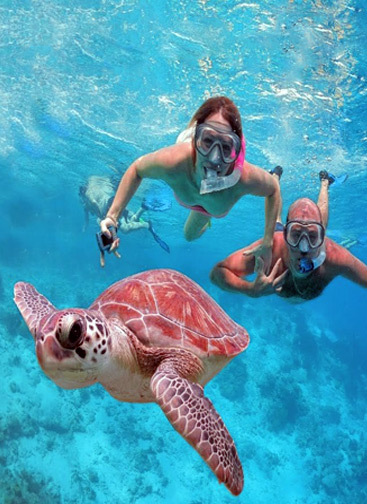 When you decide to take snorkel trips Pattaya who you book with will ultimately control your experience of the day. With so many touts, agents and middle men hustling for your money, you don’t really know what to expect in ways of who will be your guide, your boat, your assistant in an emergency! 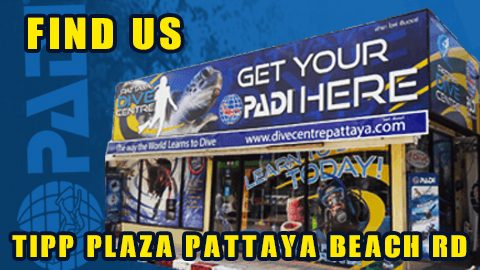 or the knowledge, training and abilities of the people running your Pattaya snorkel trip. We are not claiming that any operator or guide service is unsafe in Pattaya, we are just highlighting that these kind of trips and activities demand high standards of quality and safety. Snorkelpattaya.com is the exclusive snorkel branch of Pattaya Dive Center ( A 5 Star PADI IDC Dive Center) we have a 25 year award in the professional scuba diving industry meaning our customer service and waterman ship abilities have maintained our reputation as dive and snorkel professionals for the longest of periods.